Unique II is a band based in Wienna (Austria). It started with the vocalist Sandy Cooper and the rapper Def-Tone as performers. The producers were Erwin Geppner and Werner Freistätter. The two producers found their way into music from their technical interest, whereby Erwin Geppner stated from bands like Kraftwerk and The Art of Noise, that with a keyboard and a computer a substantially further sound spectrum could be opened. The same was for the guitarist Werner Freistätter, after discovering the electronic sequencers. When they had finished their HTL-education in electrotechnology and electronics they founded Unique II. Many female vocalists and rappers contributed to the project : Sandy and Def-Tone did not stay very long with Unique II. They appeared on the debut single then left. Then came Jade Davies and B-Nice. B-nice born in Nigeria and moved with his familiy to South London, where he began to work with different bands during ten years. After finishing "business administration" - studies in at the London School of Economics, he moved to Austria 1991. There he rapped for groups like the Bingoboys and Beat 4 Feat. But it was with Unique II where he got the biggest success. After Jade left (she started a solo carreer), she was replaced by Phoebe Caren, a blond Dutch singer. Phoebe had completed a theater education including singing, dancing, history, akrobatics, cabaret and musical. Parallel to it she had visited the conservatorium for Jazzsinging and popular music, which she completed in 1997 with a diploma. Besides her studies she was also a singer and dancer in several bands. It all began in 1992 with their singles Iko, Iko, Loveline, Changes and the album Internity. The singles and the album made it to the top 10 in Austria. In 1996 and 1997 the success continued with the singles Break My Stride (their most succesful single), Do What You Please, I Still Go On, Dance All Night and the album Level II. These singles also became very popular internationally. They climbed high in charts in Scandinavia, Canada, Italy and many other countries. In 1997, B-nice left the project to start a solo carrer. Everything became very quiet around Unique II. 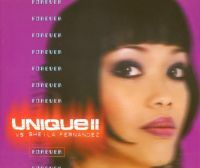 In January 2000, they were back with a brand new single called Forever, featuring the brunette singer Sheila Fernandez (born in Manila). The new rapper and dancer was called Christian Troy (born in Chesterfield, England. He had worked before as an model and dancer. In 1999 he was "Black Model Of The Year" in Austria, where he's been living since 1997). It was a new start for Unique II, the single was followed by a new album in February 2000. Later in the summer/fall of 2000, came the single The Way I Need To Go, including remixes of Eiffel 65. Then, the same year, the single Take Me Higher was released. In June 2001 the single Colours was released. 2002 : a best of CD was released, gathering 10 years of Unique II. The Gold Experience inlcuded new remixes of their biggest hits Loveline and Break My Stride. A tour was also planned, with the current Unique II-members (Sheila and Christian). The same year, a 2002 re-work of the classic Break My Stride was also released. In 2003 Sheila Left the project to concentrate over Life Bothers with them release a an album called "Live Recording" i don't know if was the title as a sarcastic after she left Unique 2 , she activate as fron lade in that project till 2007. 2007 Sheila Fernandez release a single with Bergfeuer called Kock Universal. Right now is concentrated over her actual project Spermoon the singer said " is exactly what i want to be part of it"
2010 : Jade former vocalist came with a new project called Busy Bazar. 2012 : Came with a new release for Jade Davies who's working with a new time at her solo project. The new song is called Love Crazy Girl (Suncane Skale 2012) an r n b track with reggae sound. Thanks to Anders Bøgh and Florent "v_uba"